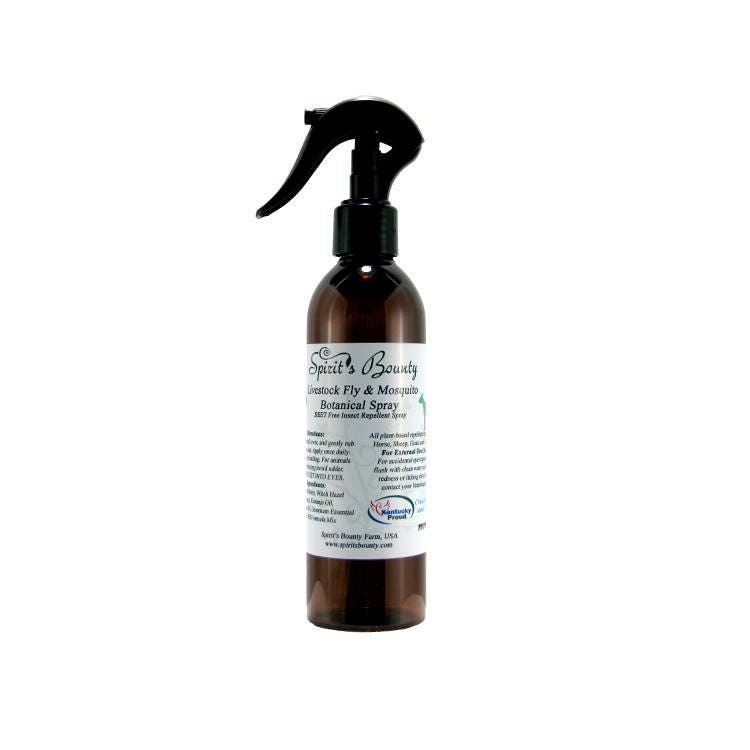 Spirit’s Bounty Farm Botanical Fly and Mosquito Repellent Spray is a plant-based, DEET free repellent for horses, cattle, goats, and sheep. Botanical Fly and Mosquito Repellent Spray has been evaluated in Florida, and was found to repel all insects that the animals were exposed to. Our repellent is vegan, non-GMO, and does not contain any DEET or petroleum products. Repeat application after bathing, if not bathed, use once daily. For animals that are nursing avoid udder. Ingredients: Distilled Water, Witch Hazel extract, Karanja Oil, Polysorbate 20, Geranium Essential oil & SB Formula Mix.